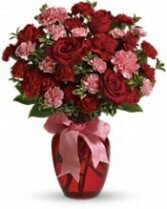 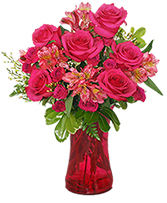 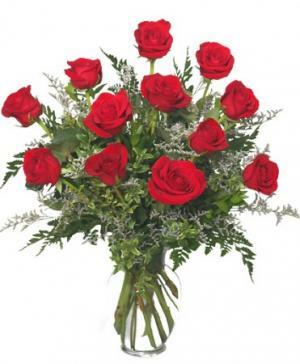 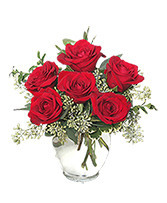 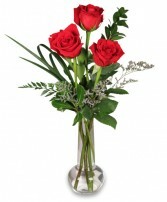 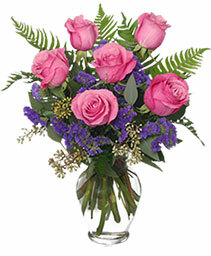 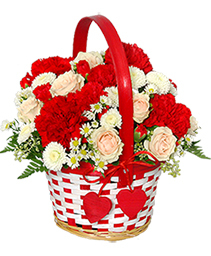 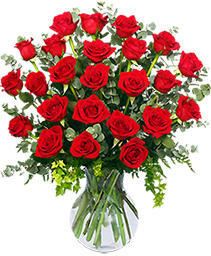 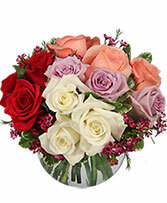 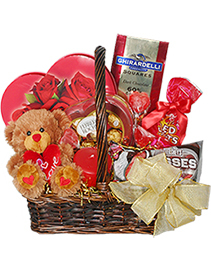 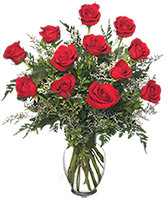 Romantic Red and pink Floral arrangement. 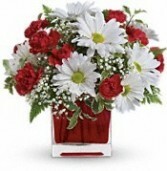 Delightful arrangement of white daisies ans red pixies. 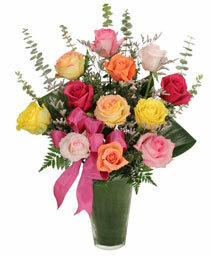 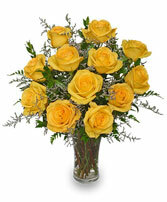 12 Yellow roses with mixed greens and Misty.